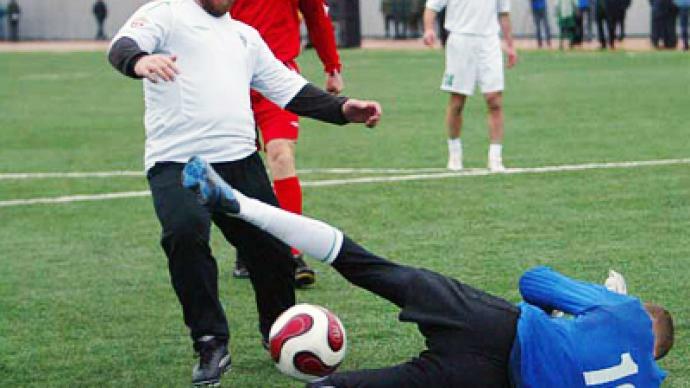 The capital of Russia's Republic of Chechnya, Grozny, hosted a friendly match of football veterans on Tuesday - including Brazilian superstars and a team formed by the republic's head. The game finished with a high score: Brazil 6 – Chechnya 4. ­Once an arena for military conflict, Chechnya has undergone some ambitious rebuilding and is now a stage for prestigious, world-class sport. The Chechen team was comprised of former Soviet football stars, Russian football stars and captained by the region’s leader Ramzan Kadyrov. Lothar Matthäus, former captain of the German national team, also agreed to play on Kadyrov’s team side. On Monday night, Kadyrov gave a press conference in which he talked about the excitement both of himself and of the city about this upcoming match. “It's a real holiday for all our fans, who have been waiting for this event for such a long time. It's an exciting day and I know that many of those who left the republic years ago are coming back to enjoy the match,” said Kadyrov. For a long time Grozny had been famous all around the world not for its football, but for its connections with war and turmoil. Five years ago, the city was still in ruins, reduced to that state by two wars in 1990s and 2000s. However, Tuesday’s match showed that the Brazilian team was confident enough to come to Chechnya and play there, while the efforts that were made to rebuild the city were beginning to work. At the Monday conference, many questions were asked about security measures and the ongoing threat of terrorism. 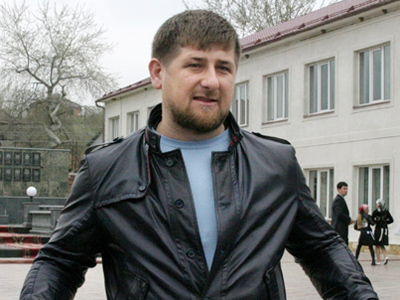 Ramzan Kadyrov talked about people directly connected to the region’s troubled past. The entrance to the stadium, which seats 10,000 people, was free of charge. Paying tribute to International Women’s Day, on which the event was being held, Ramzan Kadyrov invited Grozny’s women to attend a concert by popular Canadian singer Lara Fabian, who had arrived in Chechnya earlier. Come kickoff time, the stadium was bursting at the seams. Brazil scored an easy first goal, followed by repeated attempts by the Chechens to get one back. 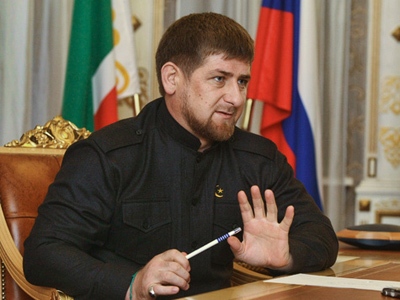 Despite missing two penalties, Kadyrov eventually managed to get himself on the score sheet. Meanwhile, the Brazilians were keen to stress they were only in Grozny for charity. Their visit saw Chechnya make world headlines again, but this time for sport and fun.